I’m a pretty big vegetable lover. My husband is serious vegetable guy, too. In fact, when I met him, he introduced me to the phrase “run it through the garden” when ordering subs. We assumed this meant all of our kids would be big vegetable fans. The two eldest are huge vegetable eaters, so we figured that anyone who came after them would be as well. Boy were we wrong. The three youngest are the definition of picky when it comes to vegetables, each having an extremely limited number of vegetables they like. Today’s dish isn’t for them. It’s for their big brothers, their daddy, and me. 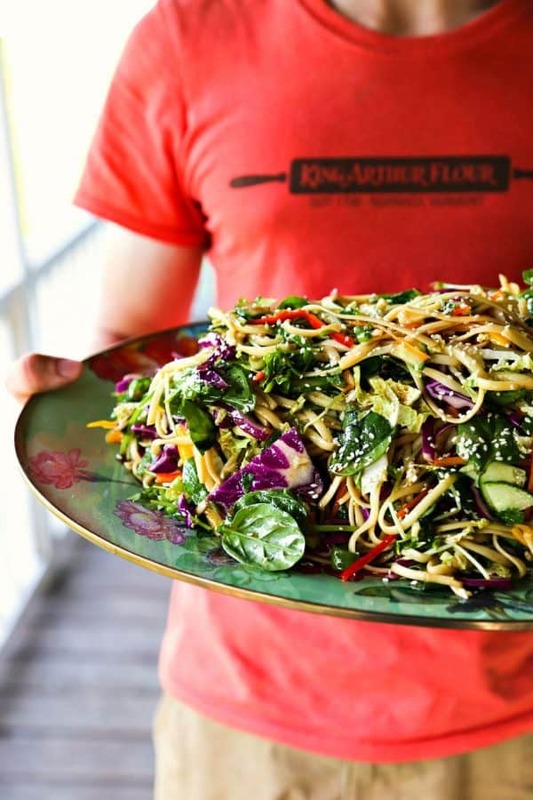 Asian Pasta Salad is a vegetable lover’s dream come true. 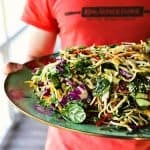 Purple cabbage, snow peas, green onions, spinach, Napa cabbage, three colours of bell peppers, cucumber, and pea shoots or bean sprouts all make an appearance in large quantities in Asian Pasta Salad. Of course, there’s pasta, too, or it would be called Asian Salad instead of Asian Pasta Salad. The pasta, however, is more of a counterpoint for the vegetables than the main attraction. 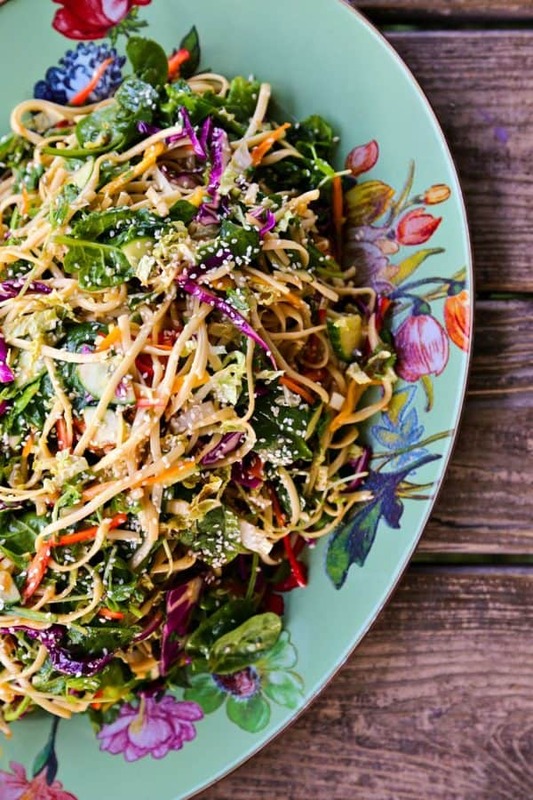 With all those gorgeous colours and fabulous textures, Asian Pasta Salad is a feast for the eyes as well as the mouth. Granted, the recipe for Asian Pasta Salad makes a lot. This is not a bad thing, though, because once you start eating Asian Pasta Salad, it’s really, really, REALLY hard to stop. When there are so many gorgeous, great for you vegetables, stopping is highly overrated anyway. Please cook your linguine noodles to al dente for Asian Pasta Salad. Please, please, please. If your salad is going to sit in the refrigerator for anything over 2 hours, it will absorb the dressing and begin to soften a bit. If you’ve started the process with soft noodles, they’ll be borderline mushy after sitting in the dressing. 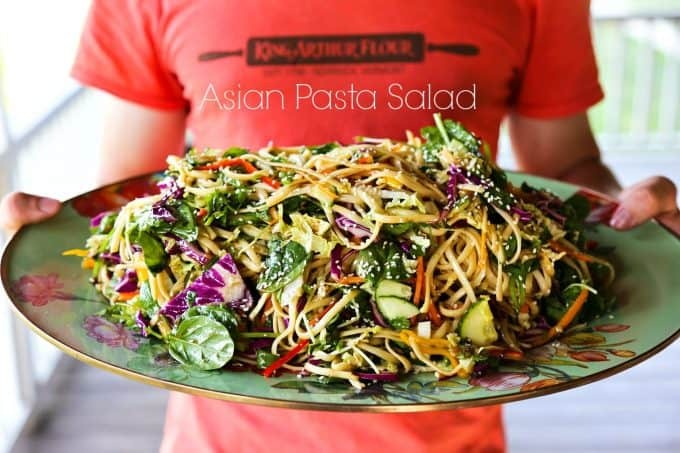 Asian Pasta Salad is at its very best within 2 hours of being made. Everything is tremendously crunchy and vibrant. That being said, I’ve been known to double the recipe to have planned leftovers for summer days. My husband and I happily munch on it for three days or so after its made. The main difference is that the noodles have softened just a wee bit and some of the vegetables are crunchy tender. Not an issue for us. Yum. Eaten by itself, Asian Pasta Salad is wonderful. Served with grilled fish or chicken on the side or on top, it’s an absolute masterpiece. There’s no getting around it, there’s a lot of slicing and dicing involved in making this dish. If you tend to freak out over doing a lot of cutting, you can cut down on the work (KNIFE PUN) by purchasing a bag of pre-sliced purple cabbage. Many grocery stores also carry pre-sliced bell peppers in the summer. Please note that I suggested pea shoots or bean sprouts (also called mung bean sprouts). My preference is for pea shoots, but they’re not always easy to find. If you can’t get them, bean sprouts (which are far easier to find) are also delicious. If you can’t find fresh bean sprouts, you can add drained and rinsed canned sprouts. And if you should happen to have a handsome, strapping teenage son around to serve the salad, even better. Lawn work and salad service, that’s why I had them. In a quart sized mason jar, combine all of the dressing ingredients.Reach a fork into the jar and give it a swirl to get the brown sugar lifted from the bottom of the jar. Lid the jar tightly and shake to dissolve the sugar and combine evenly. Set aside. In a very large mixing bowl, toss together all of the salad ingredients with your hands or a pair of tongs. Shake the jar of dressing vigorously to recombine, pour over the salad, and toss to coat. Sprinkle with toasted sesame seeds and serve immediately. Leftovers can be stored in a tightly lidded container for up to three days in the refrigerator. This post was originally published August 5, 2015. Updated July 2017. I would totally devour this and even thought I’m a veggie person I’d love to throw some grilled shrimp or grilled chicken to it! I want to eat this every day for the rest of the summer, and maybe into fall and winter too. YUM! 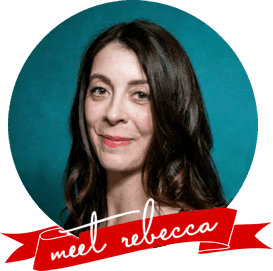 Rebecca, first off, that salad is huge! I love that there’s noodles in it. My middle child (the picky one) would totally go for this salad. You may be the reason I’m able to convert her to the green side. Can’t wait to make it! Saw this recipe and just had to stop at the store last night to pick up all the ingredients and make it. So glad I did – it was delicious! It does make A LOT (didn’t have a bowl big enough so divided the ingredients into two). One question though….my linguine kept clumping together and was hard to get it to separate (even when coated with the dressing)…is there a tip/trick to get it to distribute better? Should I have cut the linguine into pieces before cooking to make them smaller? I will definitely be making this again – highly recommended!!! Hi Julianna! I’m so glad you enjoyed the salad. Let’s talk about that linguine… First a couple of questions: was it clumped in the pan? Or was it boiling freely? And when you drained it, did you rinse it with copious amounts of cold water? A trick I learned when I worked at a deli where I made macaroni salad every day was to get my hands in under the pasta in the colander and lift the stuff from the bottom to the top to make sure all the starch was rinsed off. That’s the usual culprit for clumping. I wouldn’t cut the pasta, personally, because I like the long strands. Maybe tossing the pasta and veggies together with your hands would help it distribute better in the end product? Hi Laurie- While that does indeed prevent clumping, I usually don’t do it because it also prevents the pasta from soaking of the flavours of the sauce or -in this case- the dressing. Great recipe! I am in my third trimester in Houston and can’t get enough cold meals! If I wanted to make this to take for lunch during the week, would you just leave off the dressing and then add a little to the portion for the day? Also, I am skipping pea shoots and snap peas, but how about water chestnuts? Yes to all of the above, Karen! Add whichever crunchy veg you like and add the dressing last minute! Have you ever had this without the pasta? If so, was it good? I have not made it without the pasta. I’ve made it with other pastas (Rice noodles or some-such), but I’ve never gone pasta free with it. With all those colors and shapes this pasta salad looks like a real work of art! 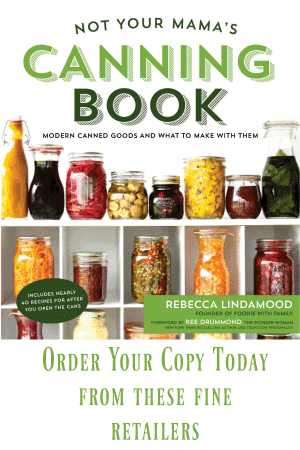 Would love to prepare this for a party this weekend — now just have to find all those veggies! I had difficulty as well fitting it into a bowl. I couldn’t add the peppers or cilantro because of family dietary issues but it still tasted great. I kind of mixed your recipe with Pioneer you adapted from. We love cashews but we love more limes and garlic. Husband approved and kid ate it up! What is ratio of salad to dressing? I had to eyeball splitting in half to get it better mixed and save some in fridge to mix later (I kept salad and pasta separate too). I would like to carry it in travel lunches like Karen said but not sure how much dressing I need to keep the taste great. I tend to put too much in one batch when I eyeball it. Love the addition of jalapenos to the dressing. Going to try this tomorrow night! That sounds wonderful!!! I’m so glad it went over well at your home! This sounds great, and I’d love to make it for our dinner party. How many people does this recipe serve? Hmmmmm. That depends on how hungry they are and how much of a variety of other foods you’re offering. 😀 Sorry to sound vague, but my idea of “portion size” is drastically skewed by feeding three teen boys, two almost teens, and a husband. I can say it feeds a lot! I made this using buckwheat pasta and had the clumping issue but it was amazing! I added cooked edamame so we ate it as our entire meal. Next time I might try it with no noodles and stir-fried chicken. Everyone loved it! Thank you for another wonderful recipe! Nice recipe, love all of these ingredients, nice change to my standard vegetable recipes, thank you for this, love it! Thanks, Sabrina! I’m glad you liked it! That sounds like a fantastic dinner save, AppleHillCottage!